The Magic to World-Class Soups – It’s all in the base! Learn how to cook the foods you love to eat in a relaxing and fun environment. You coordinate with Patricia to choose the date and time of your class and the menu you want to learn. All menus are custom designed with and for you to suit your tastes, skills, and kitchen equipment. Classes are approximately 2-3 hours and are centered around the preparation of a complete meal. Simply get in touch with Patricia to work out the best date and time for your class. As a courtesy to Patricia, we require a 24-hour notice (by phone, please, in case we don’t catch the email) to reschedule any booked class. Classes will be held in your kitchen. That is the beauty of these classes – you’ll be cooking in your kitchen and can get tips on pantry stocking, making the most of the foods you have on hand, in addition to cooking the meal of your choice. Sometimes the smaller the better! As long as your kitchen is big enough for the two of you to work together you are good to go! If you would like to gather a group of friends to join you in the kitchen for a night of cooking, please talk with Patricia about the possibilities. All cooking class menus are tailored to suit the tastes and skill level of each student. For inspiration, browse through some of Patricia’s most popular menus. Each student receives a copy of the recipes made. You will be sent a shopping list before the class so you will have the necessary groceries on hand. Patricia can also come with groceries for an addition shopping and stocking fee. Private In-Home Cooking Classes – Gift Certificates are available! In 1 Cooking Class I learned so much! In just one private cooking class with Patty I learned so many things! The most important lesson – how to prep one time and yet create 3-4 meals. 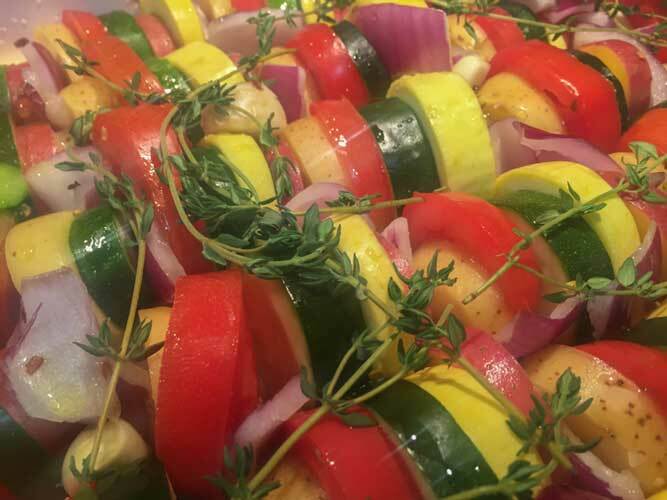 Example – we pan roasted a bunch of vegetables. Divided up, these then were the base for a delicious organic chicken meatloaf, the core of a killer roasted vegetable soup and the filling for a vegetarian eggplant lasagna. Every time I enlist her for another class we tackle new things and new flavor profiles and we have a seriously good time! I enjoy cooking so much more now! Patricia has shared her love of cooking with our family in private cooking classes. We have learned how to be more confident and efficient in our culinary skills. 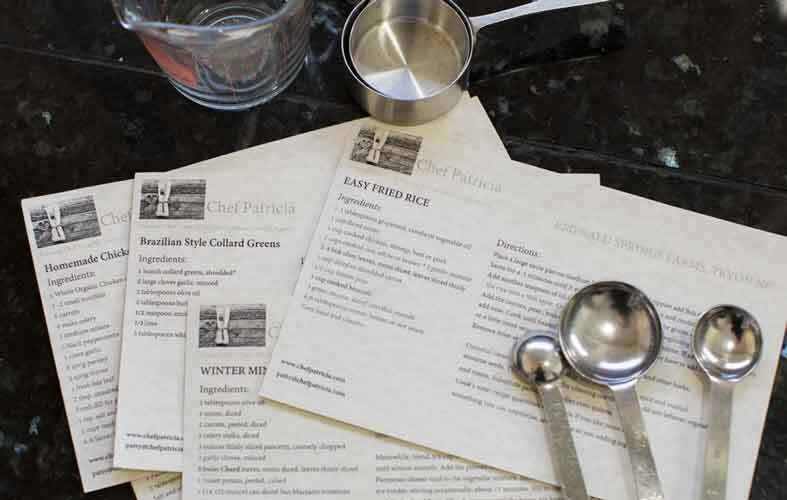 Our family appreciates Patty’s personalized planning and ideas for creating delicious, healthy recipes to meet our dietary needs. I enjoy cooking so much more now, thanks to Patty’s guidance. She really makes cooking fun!